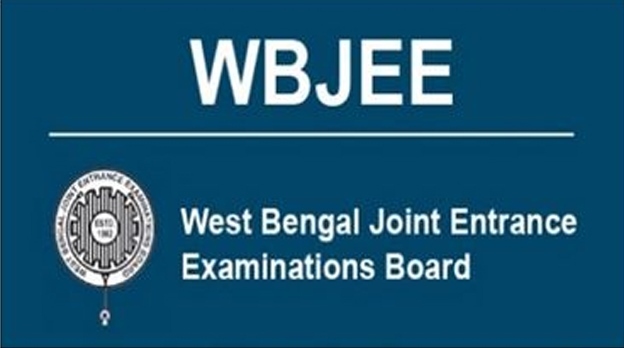 WBJEE abbreviated as West Bengal Joint Entrance Examination is a national level entrance exam conducted to check the eligibility of the candidates to seek admission in the field of Engineering, Architecture and Pharmacy. WBJEE Board was established in the year 1962 by the government of West Bengal to practice common, combined, competitive, entrance examinations for admission in institutions providing education in medical, engineering and technological courses. Number of private, government and self-financed institutes in the state of West Bengal that participate in the exam providing admission to the candidates based on the merit list of the score obtained in WBJEE 2019. In the below article candidates can seek more details regarding WBJEE 2019. WBJEE 2019 will be commenced in the month of April 2019 as scheduled by the WBJEE Board. The details regarding the exam schedules is mentioned in the below table for students reference. 11:00 AM to 1.00 PM. Admission authorities of WBJEE 2019 have set the eligibility criteria for the candidates willing to appearing for the entrance examination. Candidates will have to fulfill the eligibility to take up the exam. The eligibility includes factors like age, nationality, qualification, etc. Candidates should have completed 12th from a recognized board. For Engineering Physics, Chemistry and Mathematics. Age: Candidates should have attained minimum 17 years of age to appear for WBJEE 2019. Nationality: Candidates to appear for WBJEE 2019 should be a citizen of India. Domicile: Aspirants being a resident of West Bengal state and non-resident of West Bengal state can appear for WBJEE 2019. Qualification: Aspirants with completion/pursuing 12th or intermediate from a recognized board can apply for the WBJEE 2019. Subjects: Aspirants opting for architectural course should have studied Physics, Chemistry, Mathematics and English as compulsory subjects and candidates applying for engineering should have mandatory subjects like Physics, Chemistry and Mathematics. WBJEE 2019 application form will be made available from the 2nd week of December 2018 through its official website. Candidates willing to appear for WBJEE 2019 can apply online providing the required information’s like personal details and professional details. Steps to fill Application Form: ? Online Registration: Candidates can fill the WBJEE 2019 application form from its official website through online mode. Application Form Filling: Candidates will have to fill the accurate personal and professional details. Appropriate details for communication and selection of password can be done in this step. Uploading Documents: Aspirants will have to upload the scanned copy of their signature and recent passport size photograph. Fee Payment: Aspirants can make the fee payment for WBJEE 2019 through online and offline mode. For online mode candidates can make payment through net banking/credit card/debit card/paytm. For offline mode payment can be made through bank challan. Print out: Candidates are requested to take the printout of the duly filled application form and the conformation page for further reference. Exam Pattern set by the admission committee for WBJEE 2019 is based on the factors such as duration of the exam, total marks, marking scheme, etc. Candidates can go through the exam patter to know the pattern of the exam and prepare accordingly. Marks will be deducted for every wrong answer. Mode of the Exam: WBJEE 2019 examination is conducted through offline mode. Candidates will have to appear for pen and paper based examination. Medium of Examination: WBJEE 2019 will be conducted in English medium only. Duration of the Examination: The WBJEE 2019 examination will be conducted for 4 hours in total. Each paper will be allotted with 2 hours duration, i.e. 120 minutes each. Number of Paper: WBJEE 2019 examination will be divided in 2 papers. Paper 1 is for Mathematics subjects and Paper 2 is Physics and Chemistry subjects. Paper Format: WBJEE 2019 exam paper consist of objective types questions. Question paper will consist of 4 options per question out of which candidates will have to choose the correct answer. Paper Pattern: WBJEE 2019 question paper will is divided in 3 categories. Category 1 consist of 1 mark questions, category 2 consist of 2 marks questions and category 3 also comprises of 2 marks questions. Marking Scheme: In category 1 every correct answer will gain +1 mark and incorrect answer will deduct 25% of marks. In category 2 every correct answer will gain +2 marks and incorrect answer will deduct 50% of the marks. In Category 3 every correct answer will attain +2 marks and there will be no negative marking for any wrong answer or unanswered questions. WBJEE 2019 Admit Card is an essential document to be carried to the examination center. The Admit card consists of various examination and in case any candidates fails to carry their admit card, he/she will not be allowed to appear for the examination hall. Visit the official website of WBJEE and navigate to Download Admit Card link. Provide details like application number, date of birth and security pin. After clicking the submit button the admit card will be displayed on the screen. Candidates can download the admit card and take the printout for further use. Candidates will have to preserve the admit card till the completion of the admission procedure of the candidates. WBJEE admission committee announced the WBJEE 2019 results through its official website. The results announce will be considered final. Candidates can seek the admission based on the score obtain in the entrance examination. Visit the official website of WBJEE 2019 and navigate to Result link. Provide the given register number and date of birth of the candidate. Click n result link and take the print out of the score card for further use. Counseling for WBJEE 2019 will be commenced soon after the declaration of results. The admission authorities of the examination board will conduct the counseling and seat allotment process in 3 rounds and there will be no free registration allowed during 2nd and 3rd round of counseling. Admission authority board of WBJEE 2019 has established the exam center in various cities of the West Bengal state to make is accessible for the students to appear for the entrance examination. Apart from West Bengal state WBJEE Board has set up 2 examination center in 2 different states, i.e. Tripura and Assam.